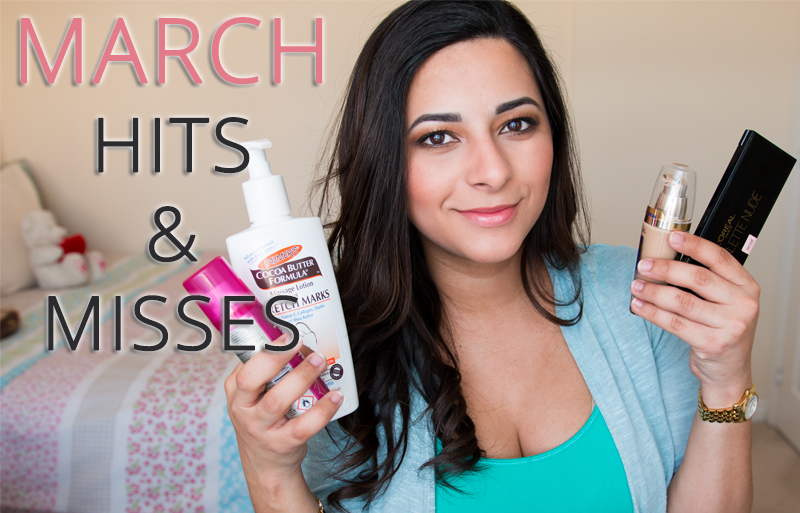 My March Favourites 2015 are here! I kept the same Hits & Misses format as last month’s favourites video because I really like being able to tell you guys about some of the things I haven’t enjoyed as much during the month, as well as all the ones I’ve loved! I tried to get this video up before the end of the month, as I’m going away on a lovely Easter holiday with the family in a few days, and I’m not sure I’ll get the time to film, edit and upload a video whilst on holiday. So here it is – press the play button below or click here to watch the video on YouTube. This month I had a lot of beauty favourites, especially from L’Oreal, which was a total pleasant surprise for me. Let me know if you would like to see a L’Oreal Brand Focus video where I talk about all of my favourite products from the brand – I think it’s a cool idea and I’ve never done something like this before. As always, all the products are listed below for your browsing pleasure! :) Don’t forget to give the video a ‘thumbs up’ if you enjoyed it and subscribe to my YouTube channel for more videos. What are your March 2015 Hits & Misses? Did we share any likes and dislikes? I really love all your blog, the design and everything it’s just wonderful and balanced! !